This article is part of our special report EU farming getting smarter. EU lawmakers have already launched the consultation for the CAP after 2020. Smart farming takes centre stage in the discussion, but the precise regime under which it will be included in the post-2020 CAP still divides stakeholders. Copa-Cogeca, the association of European farmers and agri-cooperatives, believes that the new CAP should be modernised, otherwise EU farmers won’t be able to compete in a dynamic global market. Daniel Azevedo, a senior policy advisor for Copa-Cogeca, noted that farmers are not going to invest in technology for public funding, but on the contrary, will do so if they see the value coming out of the use of technology. Copa analyst Paulo Gouveia shares the same view. “A farmer needs to see in order to believe, […] wants to see the results before engaging,” he said. But both experts warned that the new CAP should remove and not create new barriers to innovation. 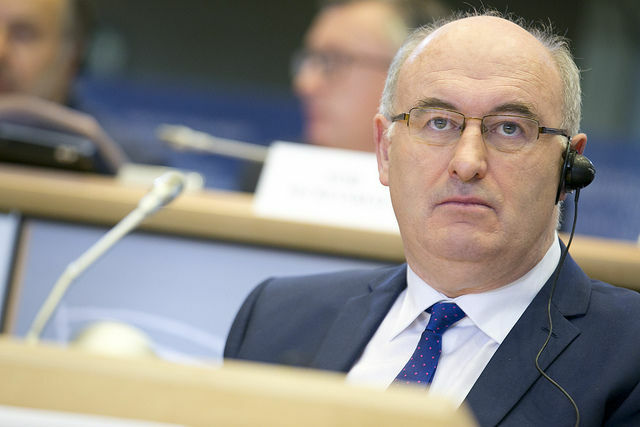 Data ownership and access should be organised in such a way that farmers’ competitiveness is improved, EU Agriculture Commissioner Phil Hogan told EURACTIV.com in an exclusive interview. “What the CAP can do is, for instance, not create regulatory problems like with the new breeding techniques so that farmers can use the same technology that every other farmer in the world can use,” Azevedo said, adding that the post-2020 CAP needs to give room for entrepreneurship for farmers. For Luc Vernet, who is an agriculture analyst at the Farm Europe think tank, there is no need to create a third pillar on precision farming nor fully reshuffle the CAP. According to Vernet, just a few adaptations of both the first and the second pillars would be necessary. “The main point today is to acknowledge the positive role of these new techniques and to take into account the deliverables they can provide to increase both environmental sustainability and economic growth altogether in Europe,” Vernet told euractiv.com. He added that both direct payments and rural development pillars have a role to play. Vernet said that precision farming had huge potential in terms of simplifying the greening of direct payments as “it will allow the legislator to switch from a prescriptive and bureaucratic approach to a results-oriented approach”. “Such an approach will be much more pragmatic and efficient as it will leave farmers the possibility to find the most relevant agronomic path to improve agricultural practices,” he stressed. He added that taking into account the family farm model in the EU, and the difficulty in investing, it would be necessary to help investments and incentivise an accelerated transition. “The second pillar has an important role to play in order to boost investments in precision farming and lift the bottlenecks,” Vernet said. EURACTIV also contacted MEPs to see how they view precision farming in the next CAP. 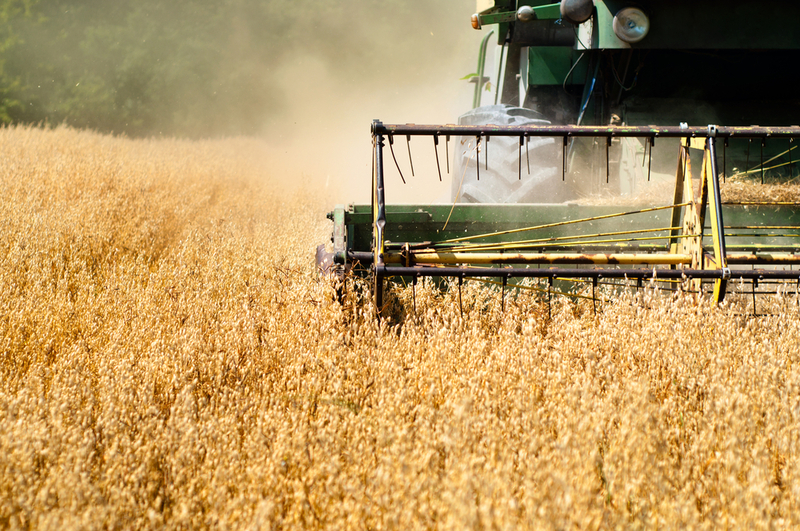 Italian Partito Democratic MEP Paolo de Castro (S&D group), who is vice-chair of the AGRI committee, stressed that in order to allow the safe and efficient use of technology, EU policymakers should introduce a sensible and proportional regulation. “This legal framework should be simpler and more flexible, ensuring timely and effective decision-making,” he said. He added that this process would also promote the exchange of knowledge and the use of resource integration in accordance with the so-called ‘interdisciplinary collaboration’, which considers creative ideas as a result of the combination of a variety of different sources. “Aggressive investments in the further development of smart agricultural technologies and their widespread adoption in an integrated way that encompasses climate, energy, agricultural and digital policies would also be required,” he pointed out. For De Castro, the greatest challenge is the involvement of farmers in the process, since they are supposed to be the main demanders of innovative solutions. “What we need to achieve is the model of an educated and emancipated farmer who can negotiate his personal position in all the food production system or supply chains; otherwise he risks remaining a passive receiver of technology, without being a constitutive part of the process that affects the switch to a more sustainable and digital agricultural sector,” the Italian lawmaker said. Lidia Senra, a Spanish Alternativa Galega (GUE/NGL group) lawmaker and coordinator in the AGRI Committee, claims that precision farming will help dismantle an already difficult situation. Senra told EURACTIV that innovation and technology could indeed bring added value to the fight against climate change, the right to food and employment. “However, they are being used to encourage further concentration of wealth and to make the vast majority of society more precarious and poorer,” she said, adding that smart agriculture has this same logic. “It is another step forward in the continued deepening of the industrialisation of food production and the disappearance of peasant farming in favour of large industrial farms, which have the economic capacity to access so-called smart or precision agriculture,” the Spanish leftist said. The MEP believes that EU farmers will face a greater dependency on corporation farms, even running the risk that a single corporation could eventually control the agricultural system. “It is clear that only large agricultural companies will have the economic capacity to access this agriculture,” she noted, adding that the new CAP should focus on a new agricultural and food policy based in agroecology and within the framework of food sovereignty. “The point is to maintain food production in the hands of farmers and peasants all over the territory,” she concluded. 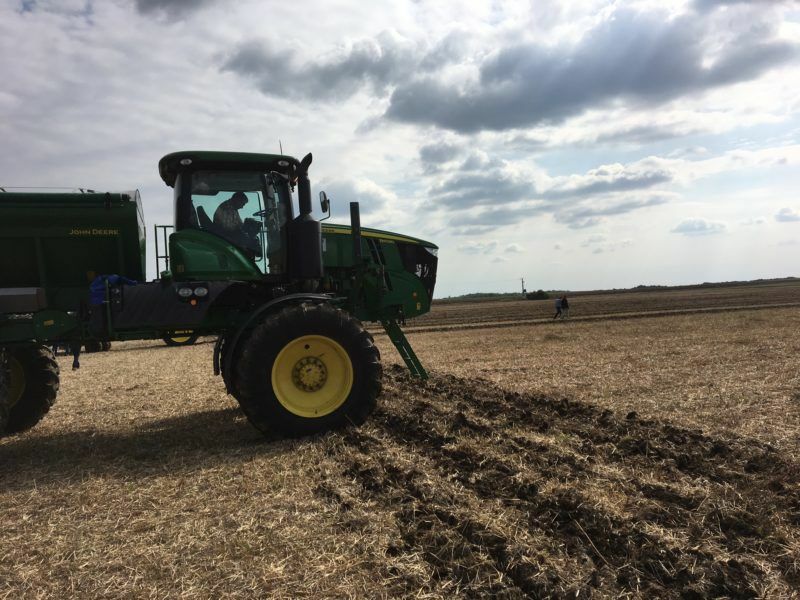 The European Agricultural Machinery Industry Association (CEMA) suggests the introduction of an agricultural sustainable productivity bonus (ASPB) in the CAP to support green technology investments like smart farming. “Farmers who are able to increase their productivity while strictly following the cross-compliance requirements should be rewarded,” CEMA said in a policy paper published earlier this month (10 March). Practically speaking, EU farmers who invest a given percentage of their revenue in certified sustainable technologies will automatically be eligible for the greening direct CAP payments, while farmers who do not reach a specific percentage could still use the traditional CAP greening scheme. Precision farming technologies that could be funded by this new scheme include devices such as smartphones, tablets, global navigation satellite systems (GNSS), sensors, applications, embarked computers and unmanned systems like drones and robots. 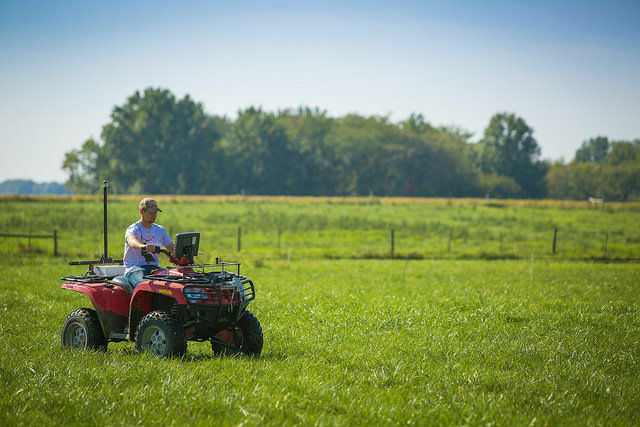 The machinery industry believes that this way will facilitate the uptake of new technologies by EU farmers, mainly smallholders, as only 25% of them currently have access to precision farming tools. “It will make sustainability and productivity compatible, two concepts very often described as incompatible,” the paper reads. But environmental NGOs do not share this view. 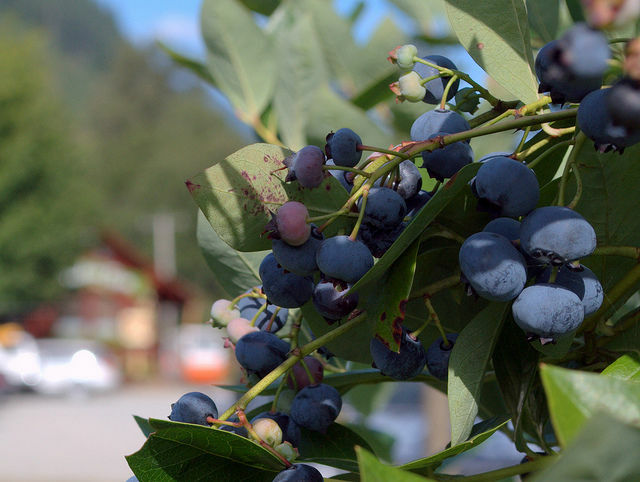 The Nature And Biodiversity Conservation Union (NABU), one of the oldest and largest environment associations in Germany, recently published a policy paper claiming that the current CAP neither addresses the unprofitability of small-scale farming nor meets the challenges of climate change and biodiversity loss. NABU recommends a new model based on much higher payments to those farmers who manage their land in a sustainable way and who implement specific measures for biodiversity. “Holdings that choose only to meet the basic legal requirements would no longer receive public money,” the paper reads. The German Association for Landcare (DVL) claims that environmental services as part of agricultural production do not have a direct market value. It says, therefore, that a “public good bonus” as part of an EU payments system should be introduced after 2020. “All types of land management aimed at preserving general biodiversity and climate and water protection would be included,” DVL noted. 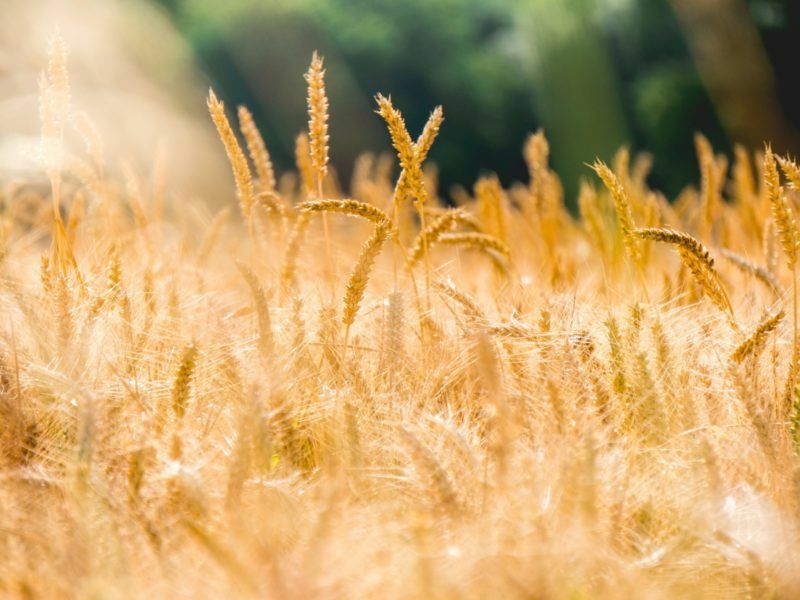 Commenting on these new approaches, CEMA’s Secretary-General Ulrich Adam stressed that they indeed reflect the common objective in the current CAP debate of boosting sustainability in farming. “However, the aspect of food production in farming and the inherent optimisation of such primary food production processes is strangely absent from these concepts, which focus almost exclusively on reward schemes for biodiversity, climate, and water protection services,” Adam remarked. Hannah Black contributed to this article. Alan Jagoe, the president of the European Council of Young Farmers (CEJA), stressed, “Digital farming is very important for agriculture in everything we do on our farms, and in the progress, we can possibly make in terms of increasing efficiency and productivity and, ultimately, profitability on our farms”. “How digital technology and the CAP fit, it’s very hard to know, but we do think that there is a fit there. Whether it’s pillar one or pillar two we’re not sure, but probably it’s more suitable in pillar two, where more supportive measures can be put in place at farm level, at a member state level, and actually generate this innovative way of moving forward,” the Irish farmer added. Paolo de Castro from the Group of the Progressive Alliance of Socialists and Democrats (S&D) told EURACTIV, “Precision agriculture and digital economy are very tough topics to deal with. The EU needs to take a leading role in those aspects, promoting through the CAP a rapid transition of our rural areas to a modern digitalised system”. “In a decreasing and ageing farming population -as we have in the EU- the recognition of the need to innovate should not be taken for granted. On the contrary, farmers should be encouraged to experiment, test and adapt new technologies in order to give their own personal contribution to future innovations,” he emphasised. “A concrete application inside the CAP -in order to achieve this result- would be the promotion of intermediaries with non-commercial interests who could invest in farmers’ education so that farmers could have access to an open learning environment and start making progress on digital farming […] The support of these technalised people will help to give farmers the solutions they can work with on a daily basis: this could make easier the access to digital farming,” the Italian MEP added. EU Agriculture and Rural Development Commissioner Phil Hogan stated, “Digitisation offers possibilities for all farmers willing to jump in. But we should not expect or oblige all EU farmers to become fully digital. We should aim to develop open systems that allow those willing to make use of new technologies to do so in a way that best matches their needs”. Lidia Senra, a Spanish MEP from the Confederal Group of the European United Left - Nordic Green Left GUE/NGL, said that big agri-food mergers could derails the food production. Probably it is still right time for discussions on the structure of EU’s POLICY for RURAL AREAS. COMMON AGRICULTURAL POLICY — is designed for “AGRICULTURAL REGIONS”. [Art. 39 (2) (a) of the Lisbon Treaty (TFEU)]. And for the RURAL AREAS’ POLICY are necessary following specialised pillars: Environmental, Infrastructural, Public health, Primary education, Social, and Cultural — funded from corresponding but not CAP Funds.